Ashley joined the All Star team in February of 2017 as an Executive Assistant. 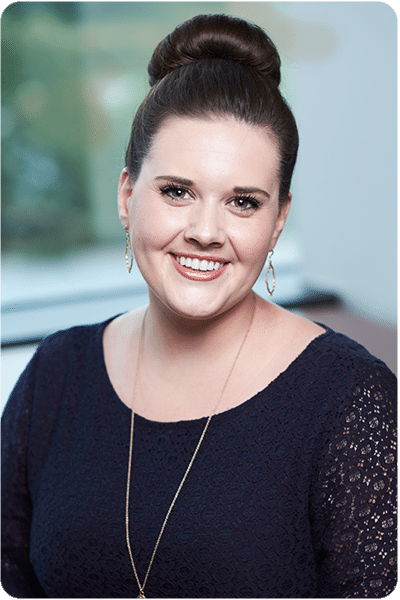 With a background in account management, Ashley has worked with a variety of organizations in the financial, agricultural and sports industries. Her responsibilities include organizing client communications, scheduling, managing social media as well as internal projects. Ashley creates a warm and welcoming environment for our clients and peers. Ashley is a native of Green Bay, Wisconsin. She is a graduate of North Dakota State University, and has a degree in Public Relations and Advertising. She currently resides in Minneapolis with her husband, Chris. In her spare time Ashley enjoys spending time with family and friends, running, and cheering on the Green Bay Packers and the NDSU Bison.